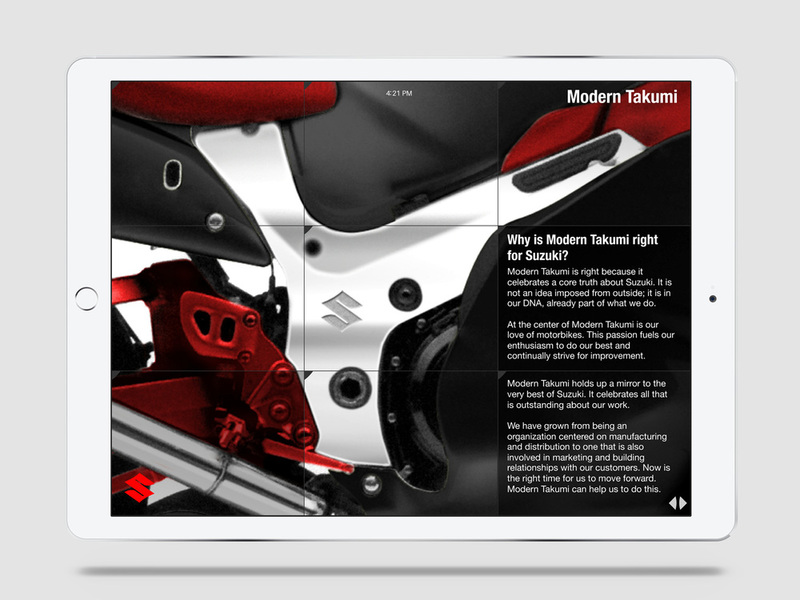 Helped Suzuki shape a new brand vision, activating customer communities and making every point of contact a statement of quality. Role: Creative Lead & Creative Strategist. App Design/UI. Product Design. Channels: Integrated Branding. Strategy. Digital. Content. Suzuki was building a great product, but felt they needed to find focus again, and help in shaping the direction of their brand for the future. 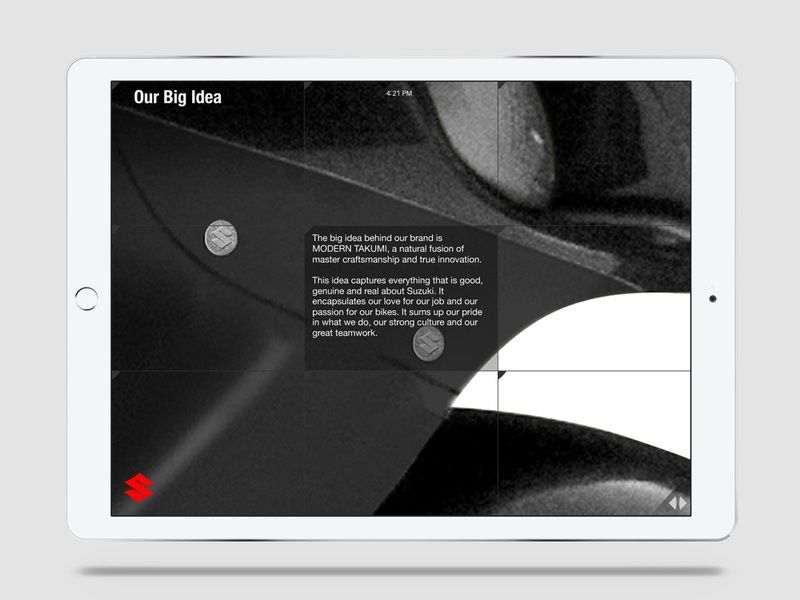 Wolff Olins invited me to start earlier in the project by joining the planning team and help shape the strategy for Suzuki's new brand story. And then to continue leading the creative phase. 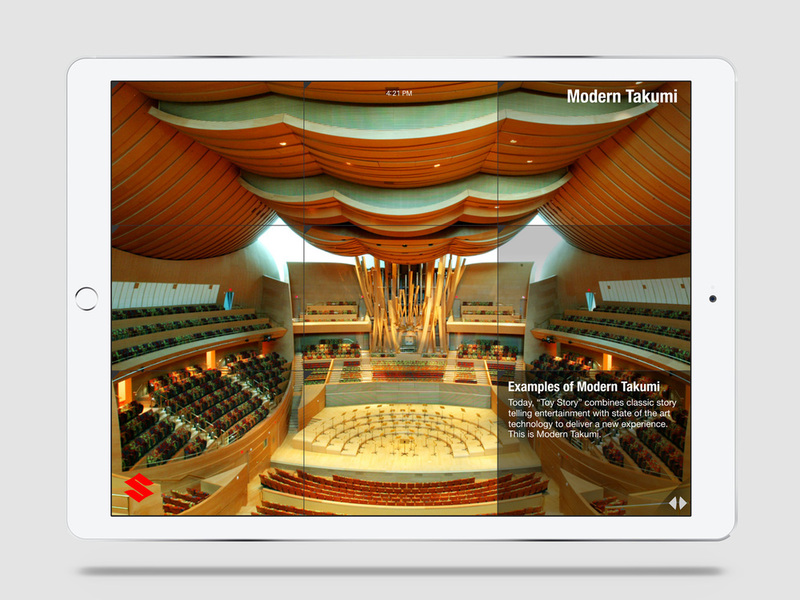 We introduced Suzuki to a holistic and more cohesive approach to the creation of their brand. To treat their entire product development, brand ecosystem and customer relationships with a unified view, and with the same care for quality they already applied to motorcycle engineering. Each branded product is a touchpoint between a customer and the brand, which defines their relationship. 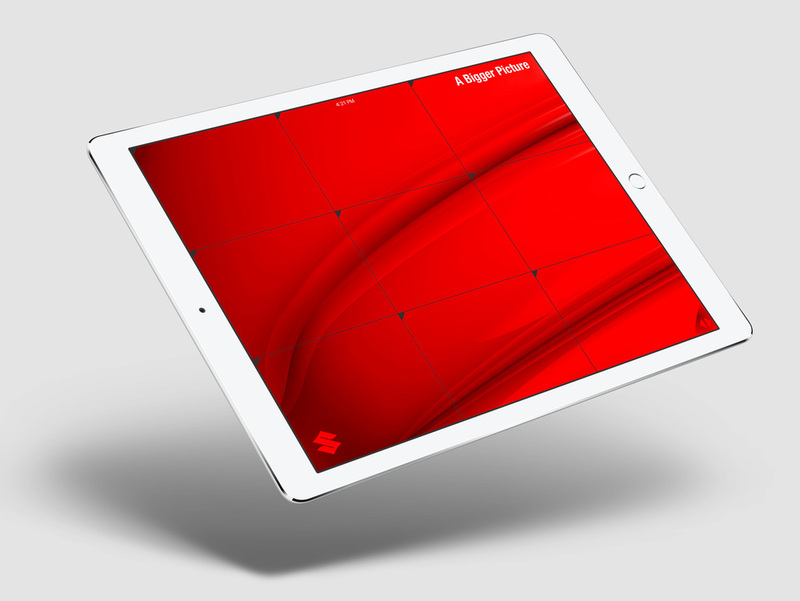 Physical products have an opportunity to create an even more personal connection, they communicate a brand philosophy. And when designed with care, they make a statement that no stone was left unturned, that everything has been considered to give you the highest quality experience. And therefore define the brand perception and relationship beyond marketing alone. 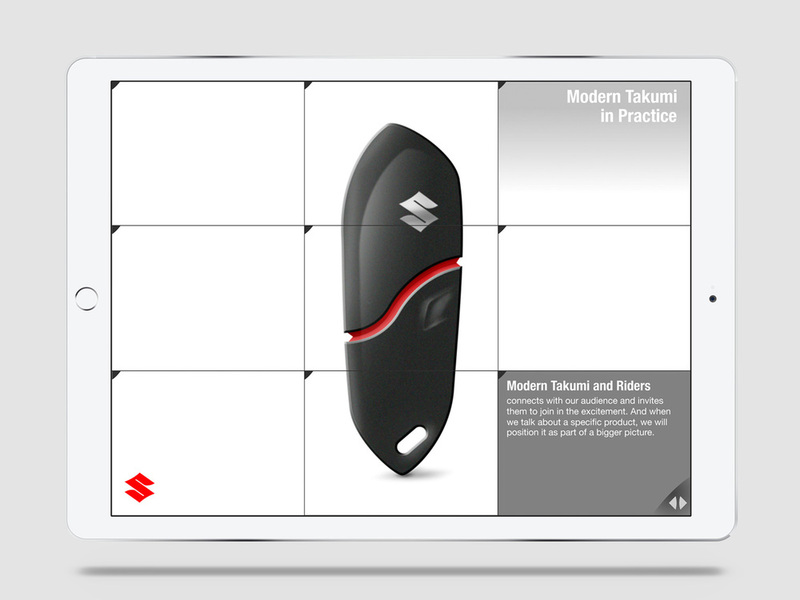 To communicate this importance of commitment to quality across every detail, I specifically redesigned some of Suzuki's smaller side products such as: an oil container, motorbike bolts, and the motorbike key. Suzuki customers were very loyal, but had no brand story to embrace or share. And in the tightly integrated community of motorbike riders––that was a missed opportunity. We introduced customer based community rides, and a Suzuki Club to celebrate and activate the brand affinity of a customer base that was eager to be united. And help them turn fans into natural brand evangelists.